What Is Special About This Piano? 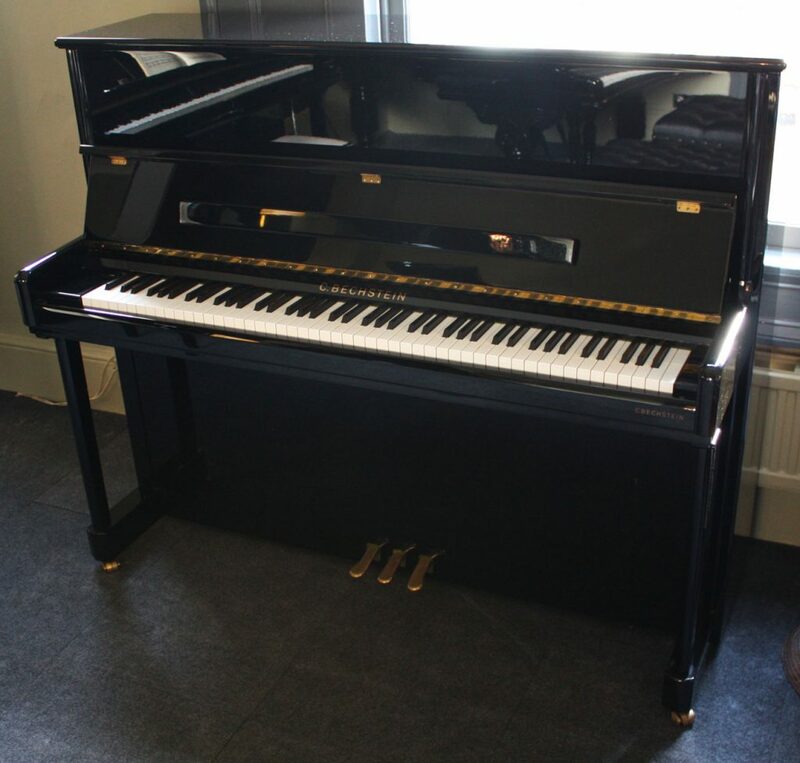 The Elegance 124 is a fine upright piano from one of the world’s leading piano manufacturers. At 124cm tall and 62cm deep this Bechstein piano has a commanding presence coupled with a delicacy of tone that is sure to impress pianists and listeners. In 2012 Bechstein pianos began to focus on two product lines, the C.Bechstein pianos and Bechstein pianos. Hand built over a period of 8 months, using top quality materials, every C.Bechstein piano is a one off creation, created by master craftsmen from start to finish. It is a living piece of art and represents the pinnacle of German engineering. Within a range that encompasses Four brands; Bechstein pianos, Zimmerman pianos and Hoffman pianos, the C.Bechstein pianos remain premium instruments, carrying the famous Bechstein tone onwards into the 21st Century. There is no doubt that the Bechstein voice is distinctive and considered by many to be one of the world’s pre-eminent pianos. The author of ‘The Piano Book’ writes that ‘the Bechstein verticals I’ve played have been consistently been the most beautiful sounding vertical pianos I’ve ever encountered’ (Larry Fine, The Piano Book pg.101). 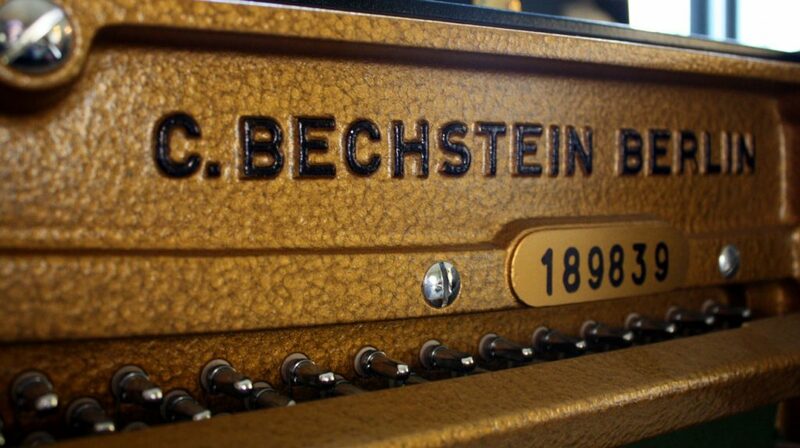 Bechstein was founded in 1853 by Carl Bechstein who was dedicated to building superior quality pianos. 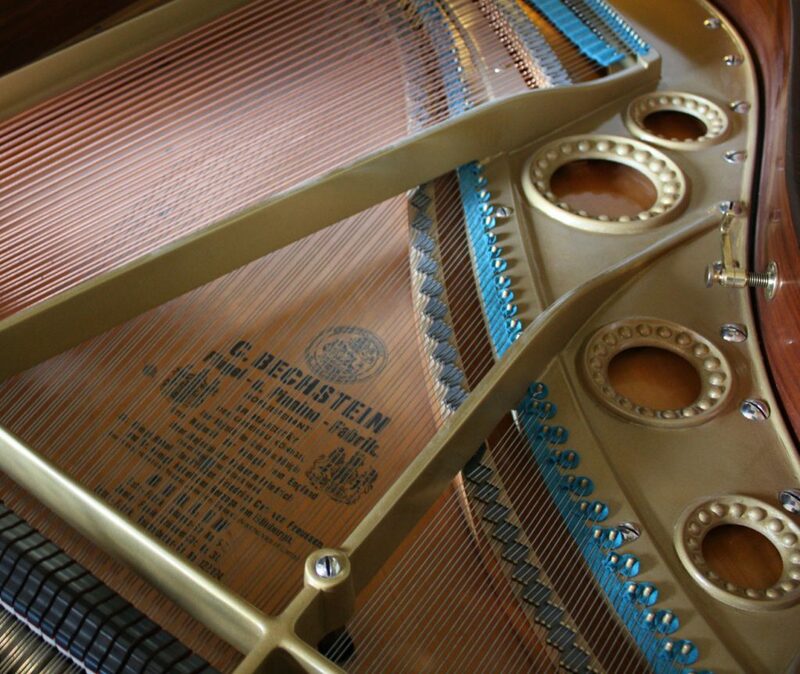 Bechstein began building concert grands in 1856. In that year Liszt played a concert in Berlin on an Erard grand piano and, famously, the strings broke one by one. This inspired Bechstein to build a modern grand piano that could survive even the most rigorous of pianists. With the encouragement of pianists such as Liszt and the famous conductor Hans Von Bulow, the Bechstein name steadily rose to prominence. The famous European Bechstein tone became much desired amongst musicians, composers and the cultural elite of Europe. By the beginning of the 1900s C.Bechstein was the largest piano dealership in London and Bechstein pianos were extremely popular amongst the European aristocracy and Royal families. The original Bechstein logo features a list of royal clients and includes the tsars of Russia, the Royal families of Spain, Belgium, the Netherlands, Italy, Sweden, Norway, Austria and Denmark. Throughout the 20th century Bechstein remained continuously innovative and maintained their reputation for building world class pianos. Here is a piano manufacturer that really can claim to have withstood the tests of time. Fast forward to the present day and the Bechstein range now encompasses Hoffmann and Zimmermann pianos, which aim to capture the middle of the piano market. Bechstein pianos themselves are still positioned at the top of the market and remain valuable investment pieces, designed to be passed down through generations. 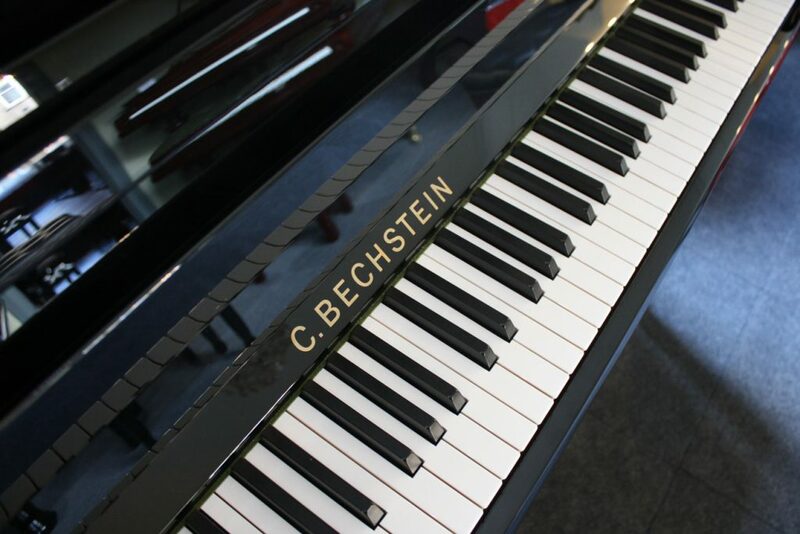 The C.Bechstein pianos like the one we have in our showroom are individually-built pianos made over 8 months by craftsmen using very high-quality materials. The soundboard on the Elegance 124 is made from mountain spruce, grown slowly at elevations of over 1000 metres and higher in Val Di Fiemme. The spruce is then dried in climatic chambers, according to Bechstein’s specification over a period of 6-12 months (for grand pianos the drying time is longer). The soundboard is fashioned as a membrane, like the soundboards of violins, enabling optimum projection and harmonic resonance. 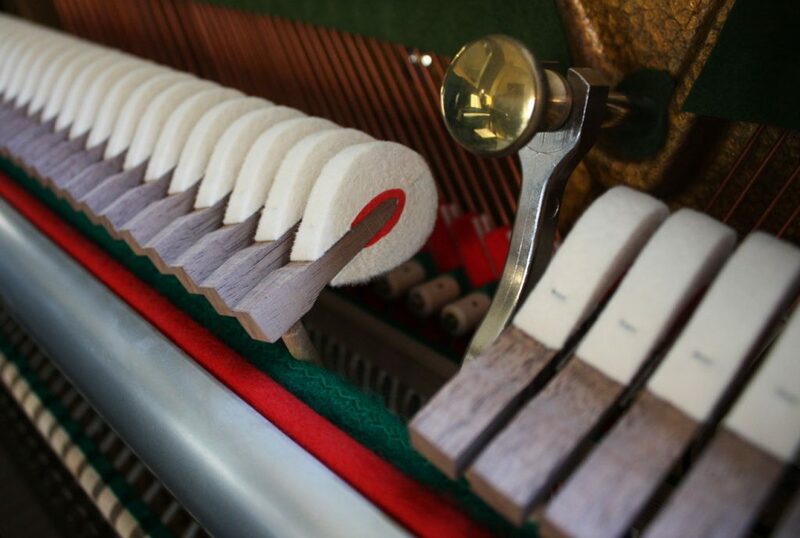 The hammers are the felt-covered wooden mallets that strike the strings inside a piano when the keys are pressed. They are part of a complicated design of levers and springs, which together comprise what we call ‘the action’. Every hammer in a Bechstein piano is a precision designed C.Bechstein hammerhead, designed to provide excellent dynamic nuance and optimum tone. Once built, the hammerheads dry in a customised climatic chamber for three months. Elsewhere on the 124 Elegance upright piano there are bridges made of solid red beech, layers of solid wood in the pinblock, and the 2000-part action is engineered and designed based on decades of piano building experience. This hand crafted upright piano is the very opposite of the conveyer belt production instruments that have flooded the piano market in the last few decades. A great deal of time, care, expertise and tradition are part of every C.Bechstein piano and on this piano, the Bechstein quality shines through. The distinctive Bechstein tone; warm, hollow and delicate, sings out beautifully on this piano. Recognised by technicians, pianists, composers and conductors as world class pianos for 150 years. This is a premium instrument from a leading piano manufacturer.